Balakrishnudu 2017 Telugu Full Movie on Telugu FilmNagar. Friday Prime Video #Balakrishnudu 2018 Telugu Movie ft. Nara Rohit, Regina Cassandra, and Ramya Krishna. Directed by Pavan Mallela. Music by Mani Sharma. 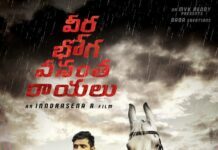 Produced by B Mahendra Babu, Nandamuri Sri Vinod & Musunuru Vamsi Krishna. Balakrishnudu movie also stars Vennela Kishore, Prudhvi Raj & others. 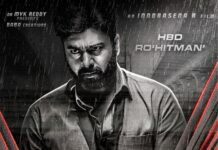 This Prime Movie Story is all about a young energetic guy called Balu (Nara Rohit) is hired as a bodyguard for Aadya (Regina Cassandra) as she has a threat from faction leader Prathap Reddy (Ajay) in Rayalaseema. Aadya is the niece of a powerful faction leader (Ramya Krishna). But Aadya is not aware that the guy who impressed her is her bodyguard. The villain gang chases Aadhya and Balu keep saving her all the time and safely takes her to her family. What is the clash between Prathap Reddy and Ravinder Reddy? (Adithya Menon). How Bhanumathi & Balu save Aadhya from Prathap Reddy (Ajay) forms the remaining story.